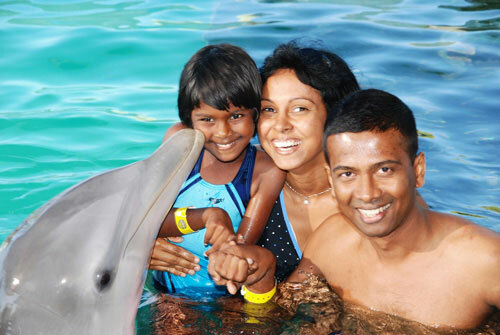 Dolphin Encounters, on breathtaking Blue Lagoon Island, has been one of Nassau's top tourist attractions since 1989. 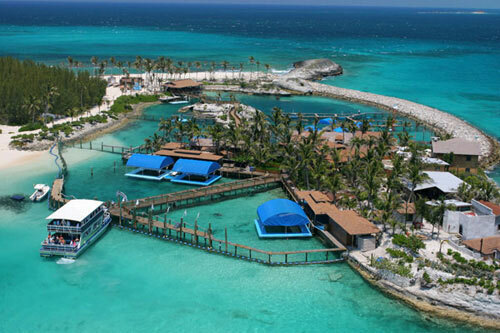 Home to a family of world famous native Atlantic bottlenose dolphins that includes the stars of Universal's movie "Flipper", Dolphin Encounters offers guests a truly authentic once-in-a-lifetime Bahamian experience. Large, high-speed catamarans provide a relaxing and scenic tour of Nassau's famous harbour, as you cruise to the private island home of friendly dolphins and sea lions. Come for your very own dolphin kiss! The Close Encounter program is a must for visitors, delivering excitement and unforgettable memories. Taxes included in the prices. The Dolphin Encounter Program offers each guest a unique interaction-filled experience that brings you closer to an Atlantic Bottlenose dolphin than you ever dreamed possible! Not only will you see the bottlenose dolphin habitat, but you will learn important information about dolphins and the ocean too. 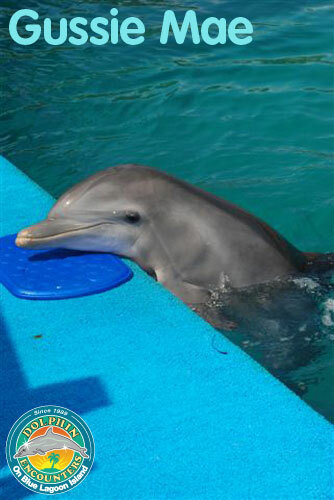 Your Dolphin Encounter Program begins with a fun orientation, briefly covering the natural history of dolphins, animal training techniques, ocean conservation and watching wildlife guidelines. On the Dolphin Encounter float, you will stand on a waist-deep sub-merged platform and experience a heart-warming kiss, a hug, a dance and opportunities to rub down the dolphin. Your dolphin trainer will combine elements of hands-on contact, education, fun, laughter, and adventure to make this an unforgettable experience. 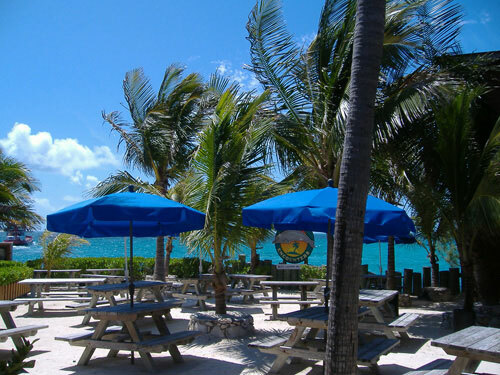 While you enjoy your Dolphin Encounter and learn about the dolphin habitat, you will al-so be in the midst of one of the finest natural attractions in the Bahamas. Our professional photo & video staff will be on hand to capture your encounter with the dolphins, and ensure that you will have a chance to take home incredible souvenirs of your unforgettable experience. Note: The transportation fee must be paid to the driver on pick and cannot be prepaid to Majestic Tours. For those staying on Paradise Island, the fee is $6.00; for those staying on other parts of the island, the fee is $10.00. Scheduling information for this excursion is available on the booking form. The transportation fee must be paid to the driver on pick-up and cannot be prepaid to Majestic Tours. For those staying on Paradise Island, the fee is $6.00; for those staying on other parts of the island, the fee is $10.00. 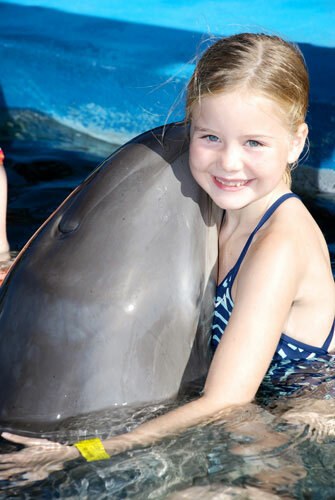 Guests age 3 or younger may participate for free if accompanied in the program by a responsible, participating, paying parent or guardian at least 18 years of age with a Dolphin Encounter Program ticket. Guests ages 4 to 12 may purchase tickets for the Dolphin Encounter Program and must be accompanied (in the water) by a responsible, participating, paying adult with a Dolphin Encounter Program ticket. Guests wishing to upgrade from the Encounter to available Swim spaces may apply the value of the encounter ticket toward the purchase of the upgrade. To safe guard our animals, personal cameras, including cell phones and other electronic devices, may not be used during the animal program. We go rain or shine! No refunds for bad weather unless Dol-phin Encounters cancels the excursion. Vouchers purchased from Majestic Tours or Majestic Holidays must be redeemed at the time of pick-up to be valid. No refunds will be issued for cancellations made less than 24 hours prior to the reserved program. Groups may require a longer cancellation period depending on size. Dolphin Encounters reserves the right, under certain circumstances, to omit specific behaviors or interactions from the program. Alcoholic beverages are not allowed on the property. Dolphin Encounters reserves the right to refuse service to any guest under the influence of alcohol or any illegal drugs.